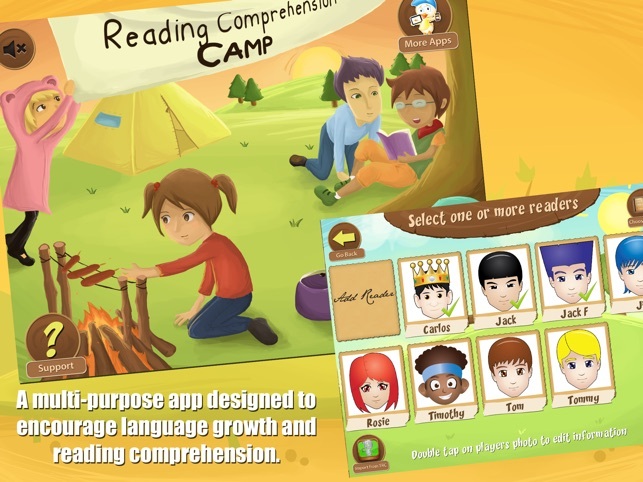 Reading Comprehension Camp is a multi-purpose app specifically designed to encourage language growth and reading comprehension. With multiple levels, 50 stories, and the ability to create personal stories this comprehensive app is perfect for students struggling with comprehension. The in-app data collection makes this app perfect for progress monitoring. Teachers, Reading Specialists, and Speech-Language Pathologists will love the customization, the graphed data, and the skills targeted. Students will love the engaging stories, creative art work, and the virtual awards that can be earned. Players may be imported into Reading Comprehension Camp from the Therapy Report Center or entered on the Readers page. Up to four players can be selected per session. With five (5) levels of stories available there are stories for most readers. Level 1 is designed for early readers (2nd grade); while level 5, with a Flesch-Kincaid readability level of 6-7 grades, is designed for older students. When the story is selected the screen opens with a picture and text. 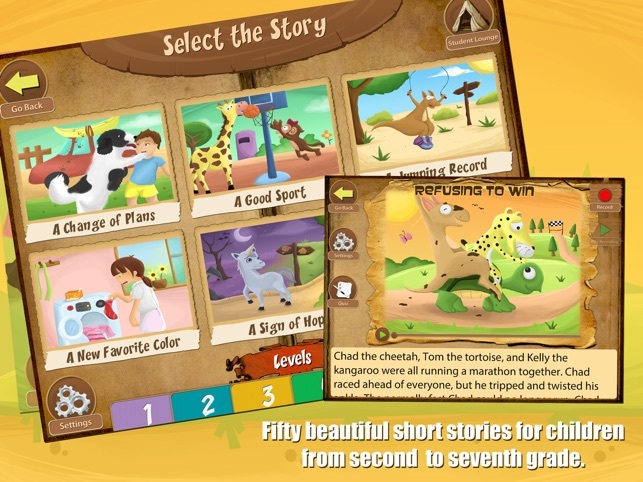 Within the story the adult can customize each story. For the auditory learner it is possible to increase the picture size and decrease font size; for the older student or reader the picture size can be decreased while the text size increases. 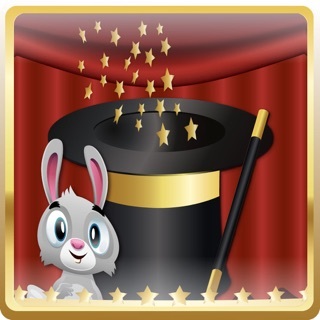 In addition, within each story is a record button which allows the student to record themselves to help with reading fluency and self-awareness. 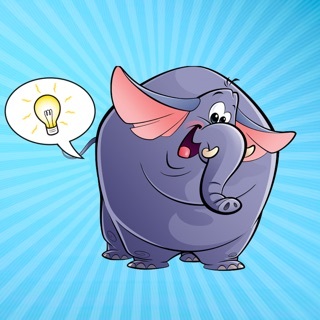 Each story has an associated quiz to check for comprehension. Within the quiz, there are 11 types of questions available. The adult can determine if all questions will be asked, or select a certain type of question. The question types available include: who, what, where, when, why, how, inferences, cause & effect, compare & contrast, sequencing, and vocabulary & context. Reading Comprehension Camp is highly customizable. Two settings tabs allow for customization of both the stories and the quizzes. 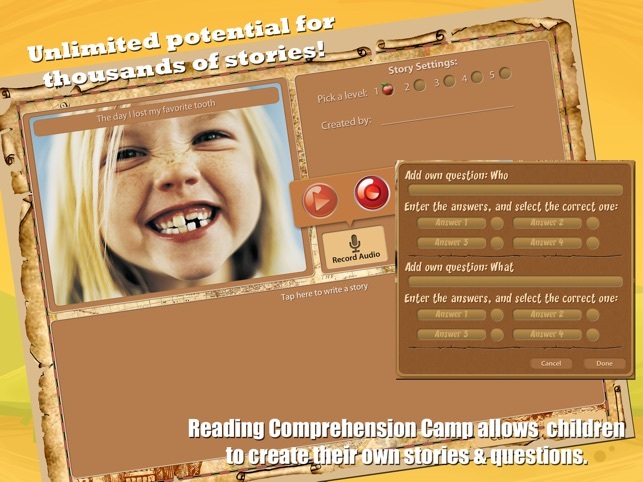 Reading Comprehension Camp is compatible with The Therapy Report Center so data is easily managed. 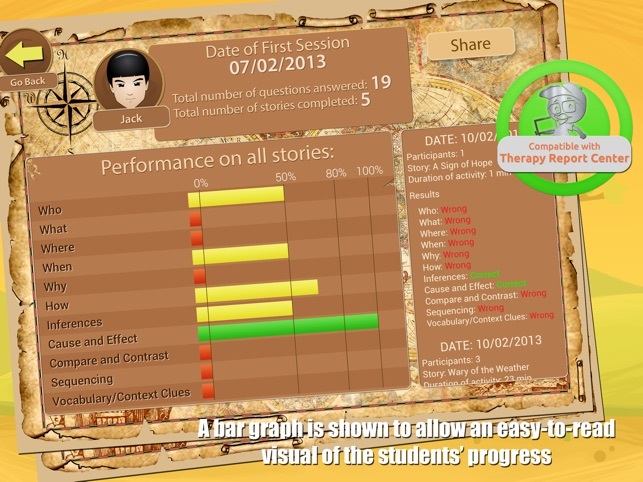 Within the app itself, a student report card is generated after every session. In the report card, a bar graph is shown to allow an easy-to-read visual of the students’ progress. In addition, a narrative report is provided showing the type of questions attempted, results correct/incorrect, and percentage correct. These report cards can be exported to the Therapy Report Center, printed, or emailed. Need to encourage language skills in addition to reading comprehension? No problem! Reading Comprehension Camp allows the student to create his or her own stories. Students can create stories using Reading Comprehension Camp pictures or by importing their own pictures off the iPad. When creating their stories, the students will need to create a title, select a level, name the author, and generate quiz questions (and answers). Students will type and narrate the story and quiz questions. The purpose of Reading Comprehension Camp is to encourage both auditory and reading comprehension. 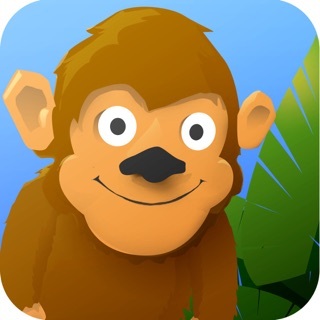 In addition, by targeting story creation, the app allows for expansion of expressive language, sequencing, and narratives. These skills are critical to reading and language arts success in education. Reading Comprehension Camp allows students to explore these critical skills in an engaging way while using technology. Early monitoring of comprehension encourages students to self-advocate, ask for clarification, and use appropriate strategies for resolving problems. Great for older students too! 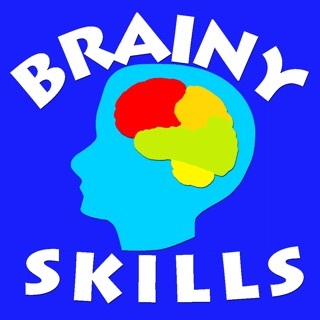 My life skills and LD students in high school love this app! Before I let them click the answer, I have the students explain why they are picking it and where they found the supporting information in the story. Then we check to see if they were correct. It helps the student learn to infer from the presented information. Most of my students are used to looking for matching words. If they do that, they have to explain if those matching words match the idea in the question. This app really helps the students learn the “how” part of answering questions. 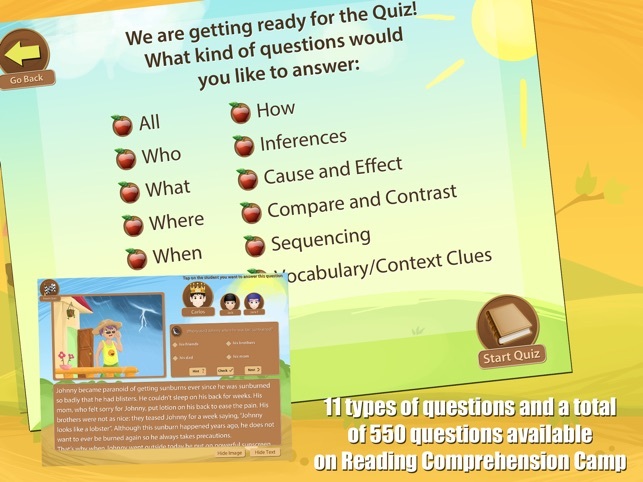 This is my go to app for my students working on questions, context clues and general reading comprehension. I can let a student listen to the story when working with another student. My students actually ask for it. They live to see their scores. With five levels, it works for all my elementary students. 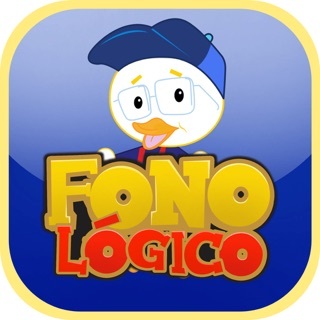 Wonderful App for reading for meaning!! !